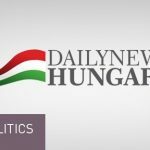 The co-leader of green opposition LMP, in an interview with news portal Index on Thursday, ruled out a pivot to the right by his party, but added that he is in favour of forming a partnership with conservative Jobbik in an effort to defeat Prime Minister Viktor Orbán in upcoming elections. 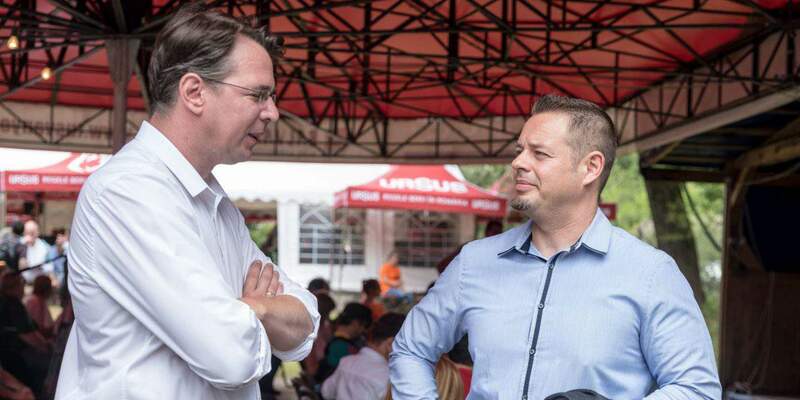 “I see huge potential in an LMP–Jobbik pact,” László Lóránt Keresztes told the portal. On the topic of next year’s European parliamentary and local elections, Keresztes said he saw the latter as the “far more important one”, arguing that local councils were the only bodies in which an opposition could be mounted against “the current two-thirds regime”. 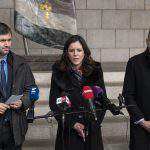 As regards the European parliamentary elections, Keresztes said, “I would do everything I can to make sure we focus on the issue of migration and solving the migration crisis”. 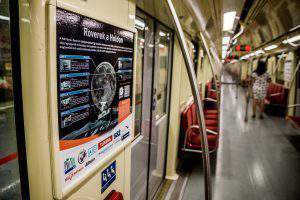 He said LMP will seek to prove that the Fidesz-led government is only using the issue to solidify its power. “But they never talk about eliminating the migration pressure for the long term,” the politician argued. Keresztes said he believed his party’s focus in the European parliamentary election campaign should be on how “migration pressure could be reduced through eco-policy measures”. He said it should be made clear where “the real political divisions” in Hungarian public life lie, insisting that they were not ideological in nature. 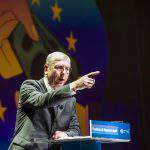 “Fidesz, for example, wants to present itself as a right-wing conservative party, when it’s actually a socialist party that functions according to Bolshevik principles,” he insisted. 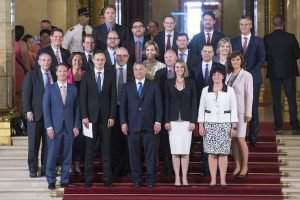 Meanwhile, the parties considered left wing, like the Socialist Party or the Democratic Coalition, represent economically liberal principles, he said, adding that “they, too, have blended themselves into the System of National Cooperation established by Fidesz, and Fidesz is doing everything it can to make sure they survive”. Opposing these parties are the “21st-century parties” like Jobbik, LMP and the Momentum Movement, which want to “outlive the System of National Cooperation”, Keresztes said. He said these were the parties that needed to work together, adding that next year’s local elections would be a “huge opportunity” for them to do so, since ideological differences can be put aside when it comes to local affairs. He said it was possible that the elections would yield “masses” of Jobbik-LMP mayoral or local council candidates, adding that Momentum could also be added to such a partnership. Asked about the April general election, Keresztes said the main reason behind the opposition’s defeat was that it had failed to show any sign of strength or present a valid alternative to Fidesz. “Too many people voted for Fidesz simply because they saw no other alternative,” he said. He also said he believed the opposition should have taken a clearer stance on the migration issue, seeing how important it was for voters. Asked about the recent resignation of Bernadett Szél as LMP’s group and co-leader, Keresztes said he accepted her decision and her replacement will be chosen in due course. He said he will accept the position of parliamentary group leader if he is elected to it.